Now Out On DVD: Voice Of The King: The Bob Miller Story – You Could Win A Copy! LOS ANGELES — Voice of the King: The Bob Miller Story, which premiered at the Regal LA LIVE Stadium 14 in December, is now available on DVD, and you could win an autographed copy! In case you missed it, Voice of the King is a documentary by filmmaker Charlie Minn, a friend of Miller’s for many years. The film goes back to the earliest days of Miller’s broadcasting career, well before he came to Los Angeles to work for the Kings. Of course, it documents Miller’s career as the Hall of Fame “Voice of the Kings” for what is now his 42nd season with the team. Frozen Royalty is giving away FOUR DVD’s of the movie that have been autographed by Miller, but you’ll need to show off your photographic skills, not to mention your social media savvy, to win! All you need to do is to post the BEST photos of yourself that are Los Angeles Kings-related on Facebook, Instagram and Twitter. You must “Like” Frozen Royalty’s page on Facebook at: https://www.facebook.com/FrozenRoyalty. Post your photos on your own timeline. In the description, be sure to mention the Frozen Royalty page listed above (type “@Frozen Royalty” into the description. In the pop-up menu that appears, click on Frozen Royalty. Be sure what you type turns blue to make sure the mention is recorded). Also include the hashtags, “#BobMillerVoiceOfTheKing” and “#LAKings” in the description. You must follow Frozen Royalty on Instagram at @frozenroyaltynhl. Post your photos as you normally would. Be sure to mention “@frozenroyaltynhl” in the description. Also include the hashtags, “#BobMillerVoiceOfTheKing” and “#LAKings” in the description. Instagram photos that are shared on Facebook and/or Twitter will only be considered as an entry on Instagram. You must follow Frozen Royalty on Twitter at @frozenroyalty. Tweets posted by accounts that are protected/private are not eligible (can’t verify the tweets). The deadline for submissions is 8:00 PM Pacific time on FRIDAY, JANUARY 9, 2015. One winner will be the overall best photo out of all entries on each of the three social media outlets combined. After that, one winner each will be selected from entries on Facebook, Instagram and Twitter. Frozen Royalty, at its sole discretion, will determine the winners. You must be in all photos. Other than that, anything goes (keep the photos PG-13-rated please!). 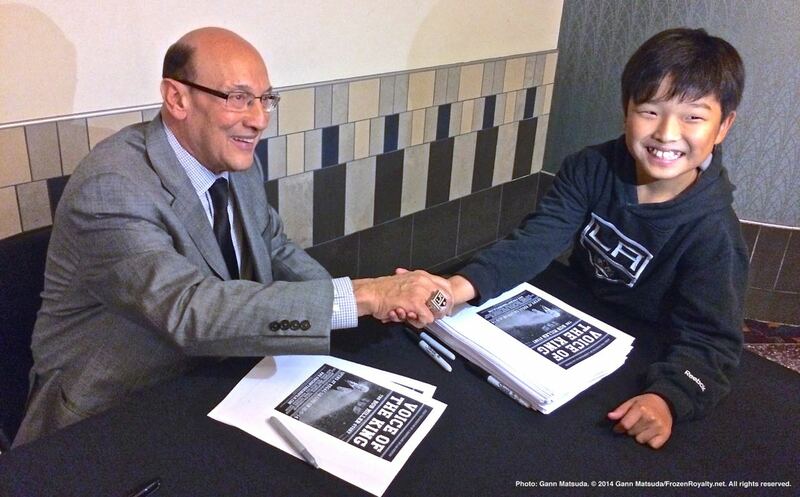 Photos of you that include Bob Miller in them will get extra consideration. However, that will not necessarily be what decides if a photo will be one of the winners. You may post as many photos as you wish (no duplicates) and as often as you wish. The more photos you post, the greater your chances of winning will be. Scheduled/automated posts are not eligible. Winners will be announced on Facebook, Instagram and Twitter. By entering this contest, you grant Frozen Royalty permission to publish any photo that you submit for entry into the contest, on the World Wide Web and on social media. Those affiliated with the Los Angeles Kings (or their affiliated clubs), members of the broadcast or print media, any web site that covers the Kings or the National Hockey League, or any related web site, are not eligible.